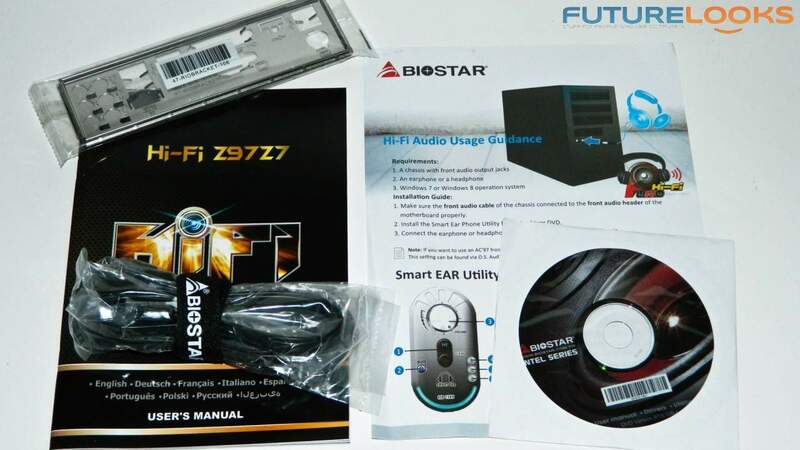 As far as affordable Intel motherbords go, the Biostar Hi-Fi Z97Z7 is worth its cost given its features and price. Misuse of the term "Hi-Fi"
Manufacturers have put their best engineering minds together to create new features and designs in a seemingly all out MMA fight for market share. We have things like improved or upgraded audio, high speed M.2 storage support, highly tuned BIOS for the best possible CPU performance, overclocking, easy to use software and new design themes. Things what would put any design that didn't at least have these features as standard equipment to shame today. We're happy to take a look at a board from BIOSTAR whom we haven't seen in the labs before. 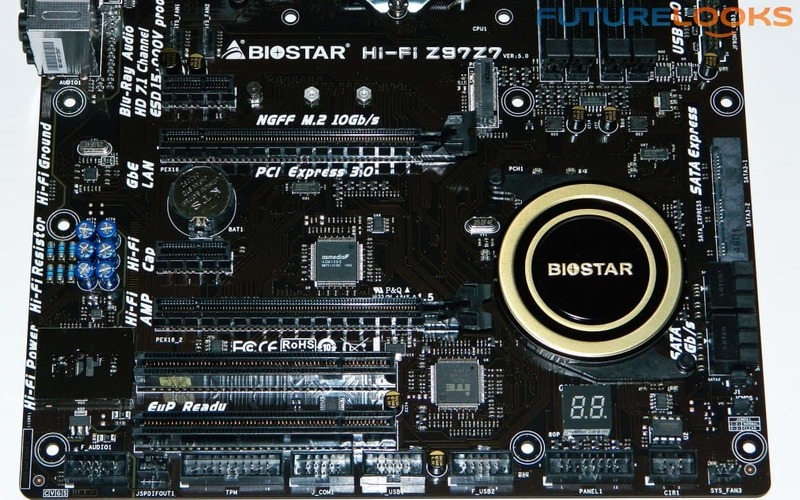 The board in question is the BIOSTAR Hi-Fi Z97Z7 motherboard aimed at audio and potentially gaming enthusiasts at a leg sweeping affordable price. We ran the board through extensive testing to see if it hits its mark as well as whether or not it meets our tried and true standards. 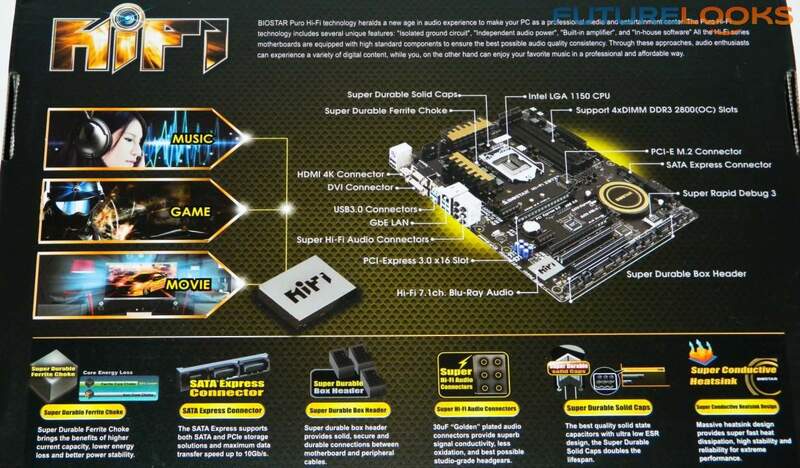 Biostar's Hi-Fi theme for the Hi-Fi Z97Z7 motherboard can be a little confusing. The board offers seemingly high quality audio but also components like Hi-Fi Power, Hi-Fi Ground, Hi-Fi AMP, Hi-Fi Resistor, Hi-Fi Cap, Hi-Fi 100dB+ and Hi-Fi 192/24 which of course don't really apply. Hi-Fi is a High Fidelity moniker pertaining to high end audio quality and not usually to electrical components. We'll see if that is the case in testing later. The board supports both PCIe M.2 and SATA M.2 devices which is always a nice touch. If you can't afford a premium PCIe M.2 device like the Plextor M6e 256GB PCIe SSD, then users can purchase something a bit cheaper like a Kingston SATA M.2 SM2280S3 240GB SSD. SmartSpeedLan is a lot like other network management apps popping up that allows users to prioritize network traffic. If you have a good internet connection, you most likely won't need it. Otherwise, you can use it to enable UDP and TCP traffic (gaming, browser, media streaming, etc). Charge Booster will be a favorite among mobile fans as it charges basically any portable device quickly. Quality wise, Biostar boards utilize Moistureproof PCB, Low RDS P-Pak MOSFETS, Ferrite Chokes, 8-Phase VRM design, high dissipation heat sinks and low ESR solid state caps. 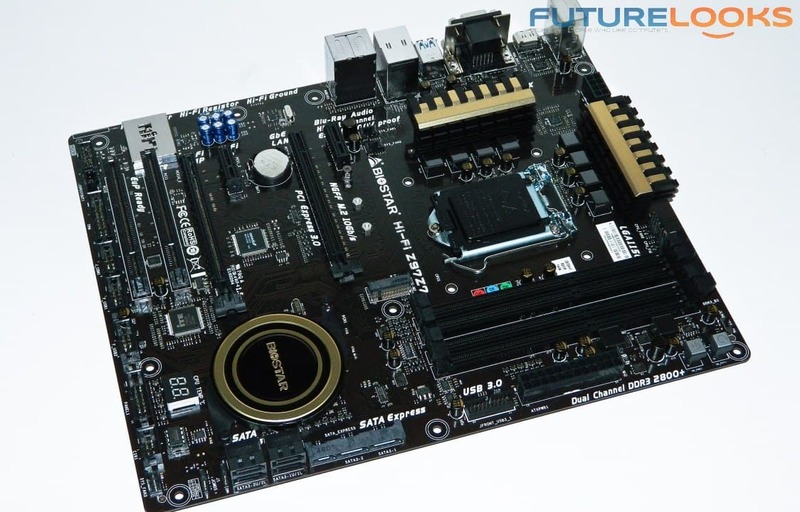 These common components are par for the course among quality motherboard manufacturers. All other features are common to the Intel Z97 chipset. The Z97Z7 also only supports AMD CrossFireX. The platform does not support NVIDIA SLI. Keep that in mind if you plan to operate two NVIDIA cards. How much will the board set you back? The board has been on and off the shelves ranging between $130-140 US. That's pretty standard for AMD CrossFireX capable boards. What's in the Bundled Accessories? Well, that's about as basic as it can get. There are just a couple of black SATA cables along with the IO shield. Otherwise, it's some literature, manual and software driver/utilities disc. However, with a value range price point, this is not to be unexpected. What is important is the performance, which we'll be looking at very soon.